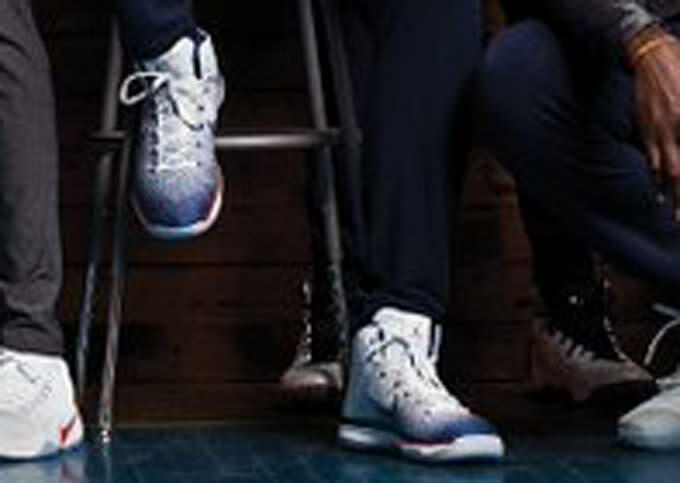 Jimmy Butler and Carmelo Anthony don the model. Following this weekend's leak of the Air Jordan 31, Jordan Brand has given its followers an official look at the shoe on Twitter. 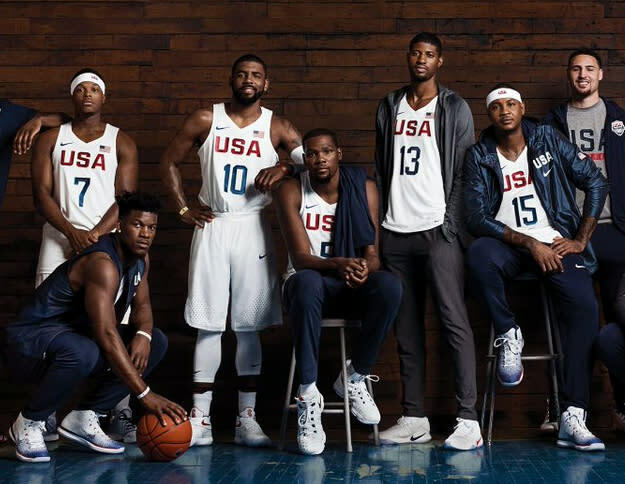 The brand tweeted the below photo on Monday, which features Jordan athletes Jimmy Butler and Carmelo Anthony wearing the new shoe. Like the "Banned" colorway that leaked, this design has a Swoosh on its upper. The Air Jordan 31 is set to be unveiled in Las Vegas this week, so readers can expect plenty more on the model in the coming days. 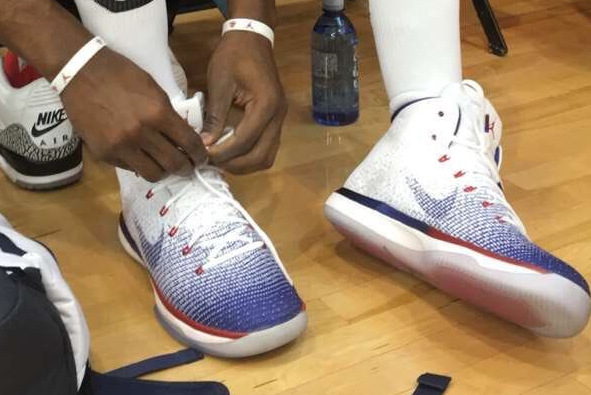 Butler told Sole Collector that he'll be wearing the Jordan 31 at the 2016 Rio Olympics, while Anthony said he'll be wearing his Melo M12. 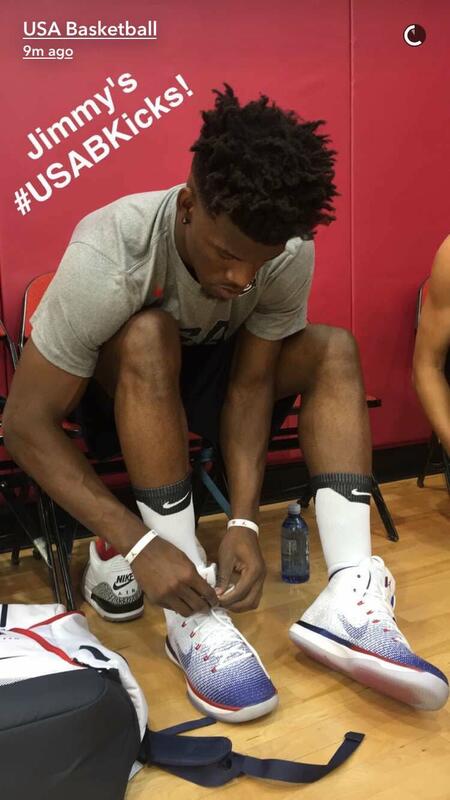 UPDATE 7/18: The Team USAB Snapchat account also posted a photo of Butler in the sneakers.